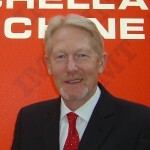 The formation in October 2008 of NL Machine Tool Consulting Limited realised a life time ambition for its founder Norman Loughton. Since then, we have been working in parternship with our customers and provided the UK industry with unique grinding, surface finishing and induction heating solutions. We are the UK Sales Agent for some of the world’s leading manufacturers. For more detail on the manufacturers that we represent, please visit our Products page.